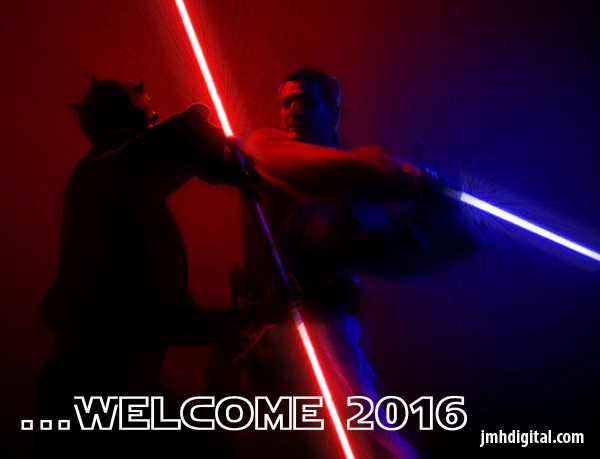 Being Retro: Welcome 2016 with a Duel of Lightsabers! Well hello, here we are in 2016... where would you like to be, did you make any resolutions and thoughts you would like to share with others. My resolution is too be more healthy, it's been like a roller coaster over the years and I need to be better... period. I'm a coward, and have backed down from your glove slap. No resolutions, gave that up many years ago. I definitely wish you good health this year Jeremy.